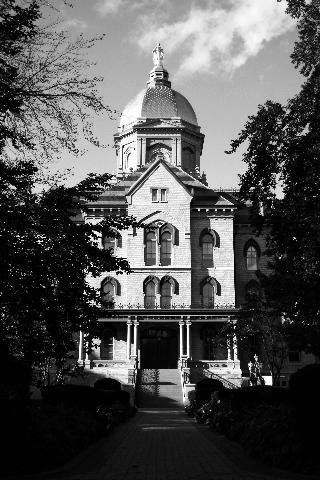 Find huge deals in South Bend In, United States that you may book now & pay later! Best prices for in South Bend In, United States. A dream vacation for you and your family, guaranteed by our travel consultants. For members-only deals, we recommend using the new filter for deals in South Bend In, United States. University of Notre Dame only 800 meters from hotel. Large indoor pool and fundome area. 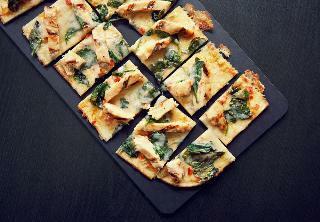 Gippers Lounge serving food. 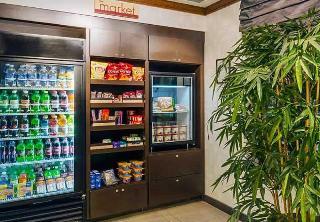 Hotel located just off Indiana Toll Road, pet-friendly w/fees, free WIFI, well-equipped kitchenettes, all suite extended stay hotel. This comfortable hotel is set in Laporte. 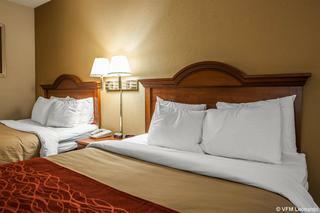 A total of 62 rooms are available for guests' convenience at Knights Inn Michigan City. Customers can make use of internet access to stay connected to work or home. This accommodation does not accept pets. Travellers arriving by car may leave their vehicle at the accommodation's parking spaces. This charming hotel can be found in Goshen Area. 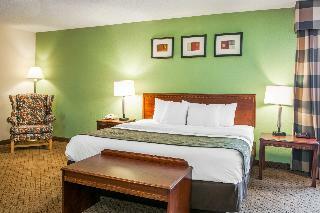 A total of 76 bedrooms are available for guests' convenience at Holiday Inn Express Hotel & Suites Goshen. Those who dislike animals may enjoy their stay, as this establishment does not allow pets. This charming hotel is in Goshen Area. The 62 welcoming rooms offer a perfect place to relax at the end of the day. Pets are not allowed at this accommodation. This charming hotel is in South Bend. No pets are allowed on the premises. 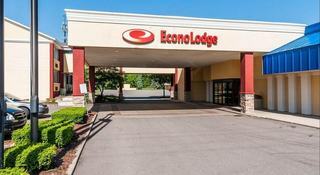 This comfortable hotel is situated in South Bend. The total number of units is 119. The reception does not work around the clock. This accommodation does not accept pets. This charming hotel can be found in South Bend. The total number of guests rooms is 59. 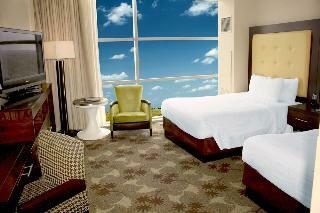 Guests can take advantage of the internet access at Super 8 by Wyndham Plymouth. Communal areas are wheelchair accessible at this accommodation. This hotel does not accept pets. Travellers arriving by car will appreciate parking available at Super 8 by Wyndham Plymouth. This charming hotel is in South Bend. 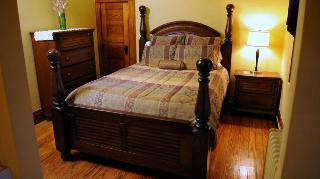 Customers will enjoy a peaceful and calm stay at Oliver Inn Bed and Breakfast as it counts with a total of 10 units. Pets are not permitted on the premises. 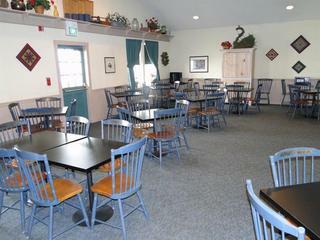 This charming hotel is located in Goshen Area. This cosy establishment guarantees a quiet stay as it counts with just 7 units. Visitors will not be bothered during their stay, as this is not a pet-friendly hotel. 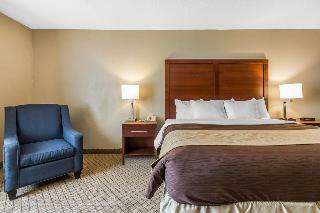 This comfortable hotel can be found in South Bend. The establishment comprises 96 cosy units. This is not a pet-friendly accommodation. This charming hotel is situated in South Bend. With a total of 6 accommodation units, this is a nice place to stay. Travellers will not be bothered during their stay, as this is not a pet-friendly hotel. This lovely hotel is set in Laporte. The establishment features a total of 51 guests rooms. Both business and leisure travellers will appreciate the property's Internet access. 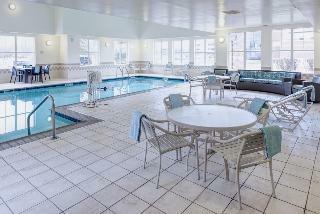 Communal areas are wheelchair accessible at Super 8 by Wyndham Michigan City. No pets are allowed on the premises. 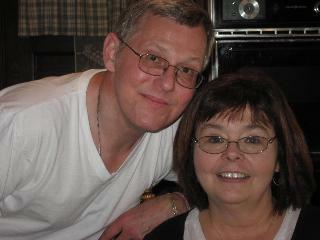 There is a car park at Super 8 by Wyndham Michigan City. This charming hotel is situated in Laporte. The total number of accommodation units is 184. Those who dislike animals may enjoy their stay, as this property does not allow pets. This comfortable hotel is in South Bend. A total of 36 accommodation units are available for guests' convenience. Internet access is offered to make guests' stay even more enjoyable. This is not a pet-friendly establishment. 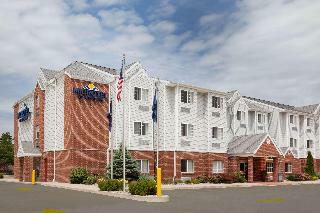 Travellers arriving by car will appreciate parking available at Days Inn by Wyndham Plymouth. 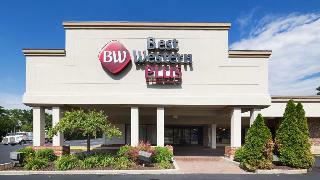 This comfortable hotel is situated in South Bend. The property features a total of 52 rooms. 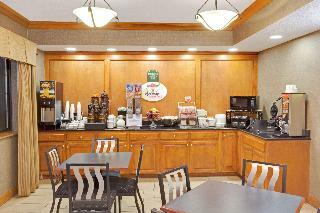 Internet access is offered at Super 8 by Wyndham South Bend to make guests' stay even more enjoyable. Common areas are suitable for wheelchair-disabled people. Pets are not allowed at this property. There is a car park at Super 8 by Wyndham South Bend. 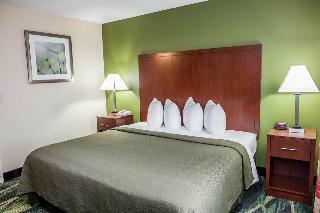 This comfortable hotel can be found in South Bend. The establishment comprises a total of 73 snug guests rooms. Pets are not allowed at this property. This charming hotel is set in Laporte. The premises count with 50 welcoming guests rooms. Pets are not permitted on the premises. 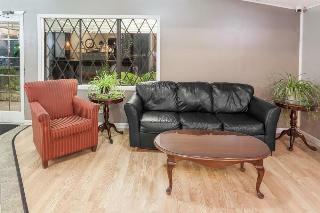 This comfortable hotel is in Laporte. 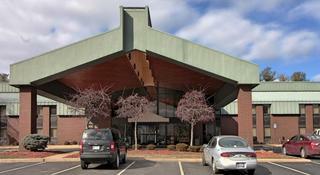 Clarion Inn features a total of 117 guests rooms. This is not a pet-friendly accommodation. This charming hotel is situated in South Bend. 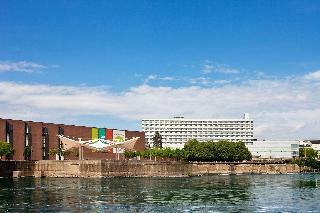 The hotel comprises a total of 121 snug bedrooms. There is no 24-hour reception. Hyatt Place South Bend/Mishawaka is not a pet-friendly establishment. This lovely hotel is set in Mishawaka. 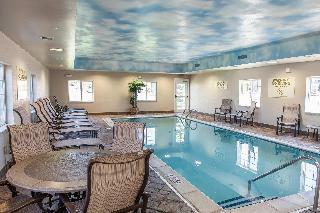 Courtyard South Bend Mishawaka does not operate a 24-hour reception. Pets are not allowed at Courtyard South Bend Mishawaka. 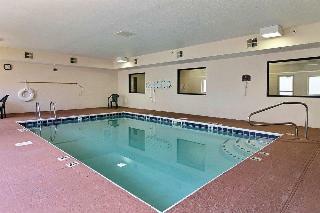 This lovely hotel can be found in Mishawaka. Unfortunately, the front desk is not open 24 hours. This hotel does not accept pets.